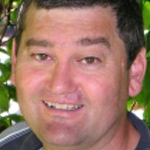 Don Grainger was educated at Auckland Grammar School before reading Physics at the University of Auckland. There he obtained a Doctorate in Atmospheric Physics on the topic of remote sensing of cloud properties. Following a short period working in UV research at the NZ Meteorological Service, Don took up a post-doctoral position in the Physics Department in Oxford. His work in Oxford involved the measurement of stratospheric aerosols using a new satellite instrument (ISAMS) designed and built at Oxford. His work focused on the impact that large volcanic eruptions can have on the stratosphere and the consequential changes in the Earth’s Climate. Don returned to NZ in 1998 to take up a Lectureship at the University of Canterbury and to initiate new instrumental work to measure aerosol properties. He brought this interest back to Oxford in 2000 when he obtained a Lectureship in the Physics Department. Don now leads the Earth Observation Data Group in the Atmospheric, Oceanic and Planetary Physics Sub-Department. In addition to theoretical laboratory and satellite studies of atmospheric aerosols the group has research interests in atmospheric trace gases and clouds, particularly with regard to processes controlling climate. Learn more about Don on his departmental webpage.